RAW have come together with famous rapper and cannabis enthusiast Whiz Khalifa to produce a new pack of high-quality, all-inclusive rolling papers, ensuring stoners are never without. Each loud pack contains RAW papers, built-in rolling tray, RAW tips, and a poking/packing tool – everything you need for the perfect joint! Josh, the founder of RAW, has been a long friend of Whiz Khalifa, so it probably comes as no surprise that they have come together to share their passion for cannabis in business as well as leisure. The RAW Whiz Khalifa Loud pack is the result and contains everything needed to roll the perfect high-quality joint (except some bud, of course!). 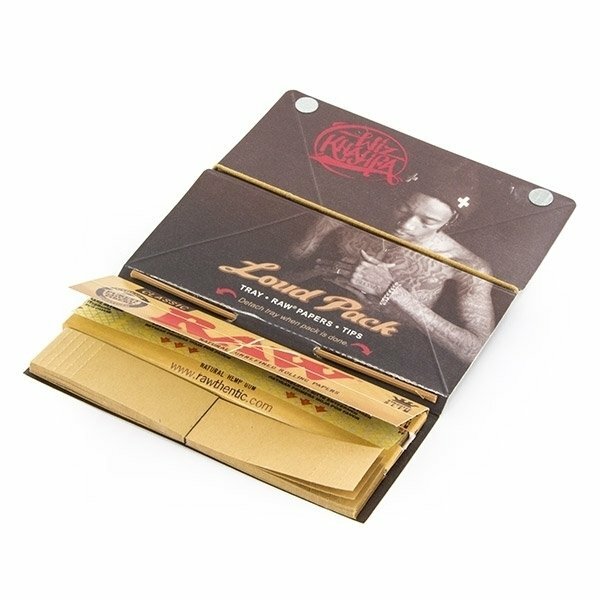 Natural and unbleached RAW watermarked King Size Slim rolling papers with hemp gum, a built-in rolling tray, RAW tips and a poking/packing tool. 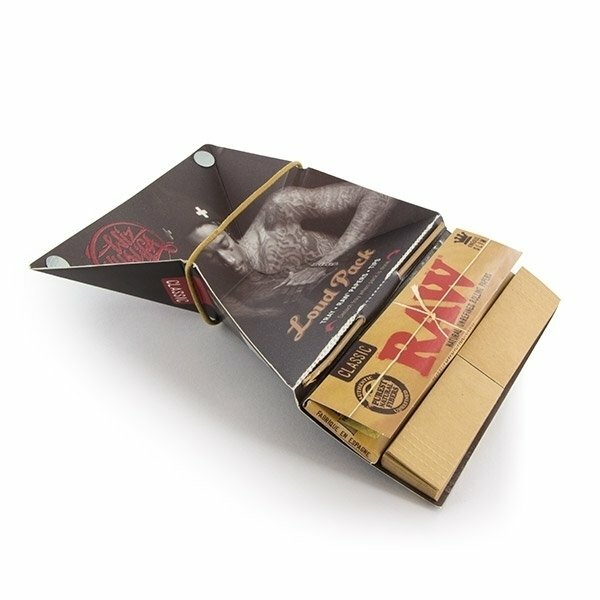 RAW papers are a premium product, with patented watermarking to ensure each paper burns evenly. RAW also make a special effort to ensure all their products are sustainably sourced, keeping the cannabis industry as green as possible! Amazing papers, easy to roll, plenty of papers too.